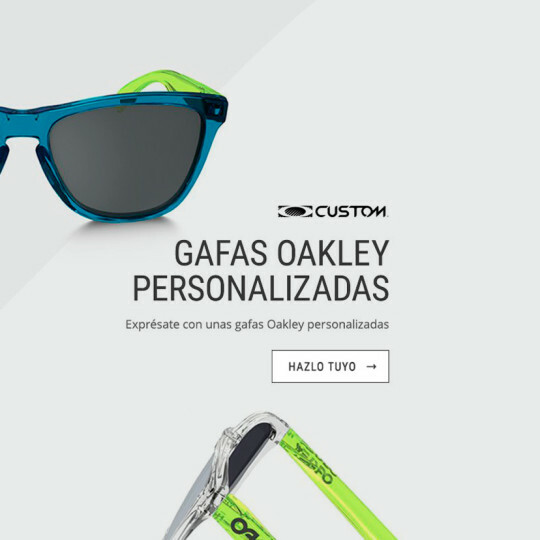 Do you want to customize your Oakley? Create a combination that may seem more attractive and get your Oakley be like you, unique and unrepeatable. Start now to personalize your glasses following our link and we’ll give you a 10 € reward voucher for your next purchase at OPTIC Platja d’Aro. All you have to do is send a copy of the Confirmation Order of your Oakley Custom Eyewear to info@optic.cat. Once we check your order you will receive it by email and will have a year to spend it on whatever you want. And if you have any further doubt, remember that we are Premium Oakley Distributors. You can use our experience to help you to select the colour of frames, lenses types and colours, the appropiate glasses for the sport you practice, etc.